A house call dentist isn’t a luxury. For many, it’s a necessity and it brings benefits far beyond just a comfy chair at home. While some may see the practice as an unnecessary luxury, a house call dentist near NYC can bring surprising benefits to those that are in need of the service. Far ahead of this dental trend that has only recently become mainstream, Dr. Alisa Kauffman has been providing on-call dentistry services in NYC to individuals for the past 29 years. Here are three benefits that Dr. Kauffman’s patients have been experiencing for almost 30 years. While convenience is an obvious benefit of house call dentistry in NYC, the importance of this cannot be ignored. Many of Dr. Kauffman’s patients experience difficulty with travel of any nature and even more difficulty during an exam process filled with waiting rooms, paperwork, and uncomfortable dental chairs. These patients are often elderly individuals who have been unable to visit the dentist for years and find that the convenience of a house call dentistry service is the answer that they need. Some dental office staff and dentists are not trained or experienced in handling difficulties that elderly patients may be facing. Whether these difficulties come in the form of communication hindrances, comfort, or emotional trauma, Dr. Kauffman is an expert at understanding the unique needs of this patient group. But she goes far beyond just a mere understanding and skill. Dr. Kauffman brings a level of genuine concern for her patients well-being. Her patients consider her a friend, as she takes time to listen thoroughly and communicate effectively on all issues. However, an elderly individual that may be dealing with major health concerns during travel, may find that the costs end up being very comparable and sometimes even less. Individuals that require wheelchair transport and an accompanying nurse often produce a cost that is twice as much as the average on-call dental visit. This cost also does not take into account that an agitated patient in the office may require a second visit or even may put off the visit due to fear or discomfort, only causing more costly and invasive procedures down the road. These are only three of the many benefits that a house call dentist near NYC is able to offer you or your loved one in need of quality dental care. Contrary to popular belief, losing ones teeth is actually not an inevitable part of aging. The number of seniors (over age 65) with no teeth remaining has dropped from 50% to 27% in only a few decades, according to Dr. Marsha A. Pyle, director of the Training Center for Geriatric Oral Health. These statistics bring encouragement! However, proper dental care is the main reason why these numbers are dropping in the elderly community. 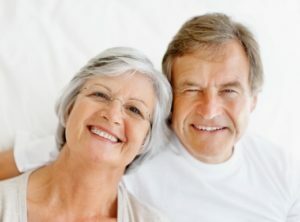 Contact us today to become one of the many happy patients of Geriatric House Call Dentistry. The challenges facing dental care for the elderly are no small matter. But some dentists are taking note and doing something about it. By 2050 it is estimated that the population of elderly, those over 65, will have almost doubled in size, from 43.1 million to 83.7 million. These are staggering statistics. However, there are more. In a 2006 study done amongst 5 nursing homes in upstate New York, only 16% of elderly were given any type of oral care. And the care was little to speak of. Another study done in Louisiana found that 65.9% of nursing homes surveyed did not transport their residents to a dentist. Of the 34.1% that did, it was usually the result of a dental emergency, not regular cleanings. These elderly that soon will be filling nursing homes worldwide (or generally confined to their own homes), will have little to no oral care provided for them. So what are the elderly expected to do about geriatric dental care near New York? Understanding the challenges allows us to face them with knowledge, creativity and resourcefulness. With age comes decreased mobility. Many elderly may not have reached a point of complete immobility; however, the difficulties that leaving the home present are enough to discourage what they may deem as unnecessary trips out.Of course, there are those that whether they desired it or not, leaving their home or nursing facility is out of the question. This proves a sizable challenge to receiving geriatric dental care near New York City. Many elderly are unaware of the necessity of proper oral care. They simply don’t realize that it is paramount to their continued health!Untreated oral infection and bacteria can actually cause or worsen other more life-threatening diseases. The airborne toxins from bacteria in the mouth can enter the lungs through inhalation resulting in pneumonia, a high-risk condition for the elderly. Heart disease and stroke are also present in those with poor oral health. Elderly are often reliant upon medication for many pre-existing diseases or health conditions. Many of these medications can cause further dental issues, including dry mouth, mucosal disease, and soft tissue lesions. These are challenges that many dentists are not used to handling. Many that stop pursuing dental care do so because their dental office does not have the necessary equipment available to properly treat them in their difficult situation, whether they be in a wheelchair or confined to bed.Those that reside in a nursing home often do not receive such things as x-rays since most elderly care facilities do not employ a dentist with portable equipment for such procedures. Although challenges for sure, none of these issues prove insurmountable. 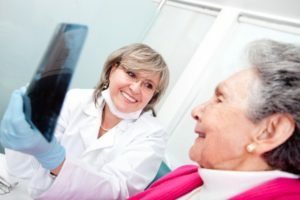 In cities across the nation, dental experts are beginning to take note of the unique challenges facing geriatric dental care and seek to provide the solution. For residents in Manhattan, there is hope for quality geriatric dental care near New York. Dr. Alisa Kauffman has been servicing the elderly through house call dentistry services in Manhattan for over 30 years. Her passion is to meet these challenges head on and go above and beyond the norm of dental care for geriatric patients. Geriatric House Call Dentistry has found a way to address and handle each of these challenges expertly. See for yourself today! Call us at 917-826-6278 to schedule your first appointment with Dr. Kauffman.